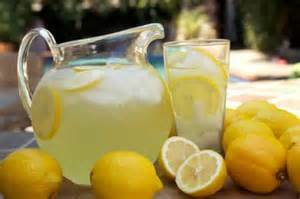 “When life gives you lemons, make lemonade” is the proverbial phrase used to inspire someone to make something good out of a bad situation. I know from experience that it takes a can-do attitude and some ingenuity. Today Christian Gervin, a Y member, used his can-do attitude and skill to take the bitter out of a challenging situation! Immediately, Christian, who is dad to one of the kids, offered to the Y staff, “I can help run the class!” “I can do some Plyometrics with the kids!” he added. Without missing a beat, Christian loaded up some music and happily led this exuberant group of kids through a fun workout. With some shuffling of staff, another wellness staff person was able to help Christian with this “sweet” solution. The Y is family made up of staff, volunteers, members and community partners. Christian’s action defines family helping family. Christian, thank you for making lemonade for everyone to enjoy! Twisters bring home team trophy!! Great job Twisters!! Good luck in June! Thanks for the update Dave! Granby – The Level 5 Farmington Valley YMCA Twisters gymnastics team brings home team trophy after competing at Regional’s in Glenn Falls, New York, May 4 – 7. In the Level 5 age division of 11 – 11 ½ bringing home individual awards was Cailin Hesketh whose all around score of 36.350 earned 2nd place and Amy Briggs all around score of 36.250 earned 3rd . In the next age division, Cara Ferro brought home 2nd with an all around score of 36.700. Within the same level, Abby Larson and Julia Moody also brought home individual awards for their performance. Coming in 1st place in the Level 4 girls 10 – 11 age division was Evelyn Neagoy. Dasha Sapronova and Kate Beaudry also placed within their age division. Level 3 girls Eva Pokaski and Erin Moody placed 5th and 7th respectively in the 10 – 18 year old division. June 29 – July 3 in Milwaukee, Wisconsin.